George was with Partick Thistle and joined United in a swap deal that took Norrie Davidson in the opposite direction. A chance meeting between United boss Jerry Kerr and Partick boss Willie Thornton led to the move. The two managers discussion over their squads led to Willie Thornton proposing the deal. 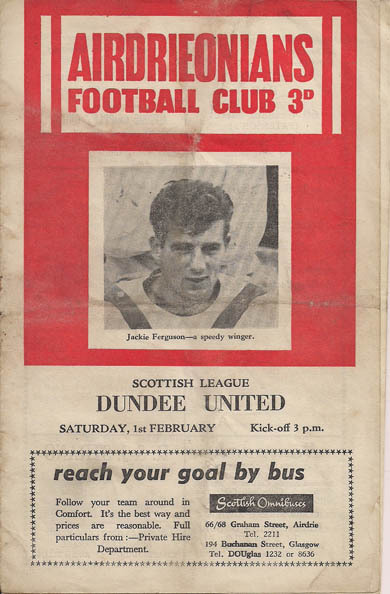 He had a brief Tannadice career and was out due to injury or illness until February 1965. In only his second game, his old club Partick stole two points from Tannadice and it was Norrie Davidson who scored the winner! He then accepted the post of player/manager at Irish club Ballymena.